Unlike most physical injuries, the symptoms of chronic pain are often unseen and can be difficult to diagnose. For this reason, individuals who suffer from chronic pain syndrome may face certain challenges in recovering benefits, compensation or long-term disability benefits for their condition following a serious accident or traumatic injury. 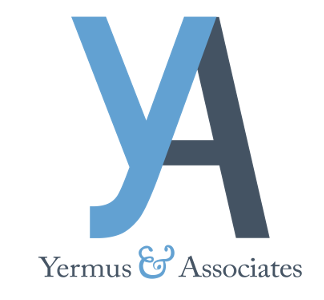 Yermus & Associates, and his legal team focus exclusively on personal injury law, helping our clients navigate the complexities of the claims process. This includes rising to the challenges often presented in recovering benefits or compensation for chronic pain. Our office is located in downtown Toronto, and we represent individuals and families throughout the Greater Toronto Area (GTA). In addition to these physical problems, individuals with chronic pain can suffer from psychological injuries such as depression. In consequence, the constant physical pain and emotional toll of chronic pain syndrome can put individuals in a vicious cycle of pain and frustration. If you or a family member suffers from chronic pain, we will provide honest advice and representation in helping you seek the benefits needed to maintain your financial stability. We go the extra mile for our clients, working with the appropriate medical specialists and multidisciplinary experts needed to manage your care effectively. We will also negotiate on your behalf with insurance companies to recover all benefits and compensation to which you may be entitled by law. This includes long-term disability benefits or Canada Pension Plan (CPP) benefits if you are unable to work because of your symptoms. For more information, contact our firm at 416-229-4878 (HURT) to schedule a free initial consultation with our Toronto lawyer managing chronic pain claims.